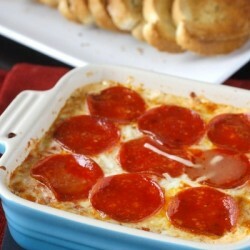 I tend to love anything with the word “pizza’ in the title, and this pizza dip is no exception. I can’t get over how good this is and how easy it is to make. If you make the recipe as written, you’ll end up with a pie plate full of cheesy pizza goodness, but since I was just making this for Mike and me, I ended up cutting the recipe in half. I’m glad I did, because this stuff is addicting! 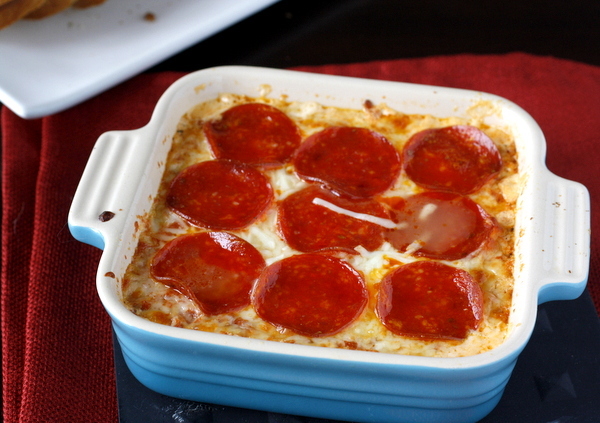 Layers of melty cheese and sauce and pepperoni give this dip a traditional pizza flavor. You could add in any of your favorite pizza toppings, but I thought it was pretty amazing with just cheese and pepperoni. 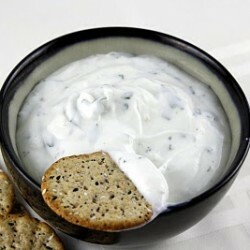 We ate this dip with garlic toasts, but I think it would be great with chips, or even with some plain bread for dipping. Serve this pizza dip as an appetizer or snack at your next get together and I’m positive it will be a huge hit! p.s. If you make this, please use this recipe for homemade pizza sauce – it makes the pizza dip even better! Preheat the oven to 350. Lightly grease a 9-inch pie plate and set aside. In a medium sized bowl, mix together the cream cheese, sour cream, mayonnaise, 1/2 cup of the mozzarella, 1/4 cup of the Parmesan, and oregano. Spread the mixture in the bottom of the prepared pie plate. Spread the pizza sauce on top and sprinkle with the remaining 1/2 cup mozzarella and 1/4 cup Parmesan. Cover with pepperoni slices. 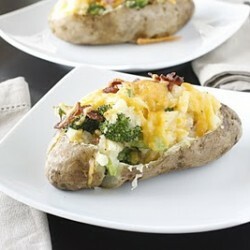 Bake for 20-25 minutes, or until the sides are bubbling and the cheese is melted and lightly browned on top. Serve with garlic toasts, chips, or bread for dipping. Oh pizza dip. One of our favorite appetizers! I love to top ours with green pepper and onions. Thanks for the reminder to make this soon!! I will devour pizza in any form. This dip looks so good, Megan! what’s not to love about cheese? and pizza toppings? awesome- i can see a ton of fun versions of this. 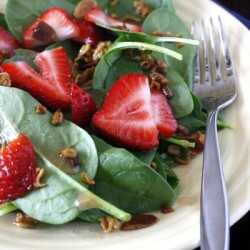 How that looks like a great Super Bowl appetizer! Great idea! This looks like it could be my few fave! Love hot dips! Oh yum, what a great dip for the big game this weekend! 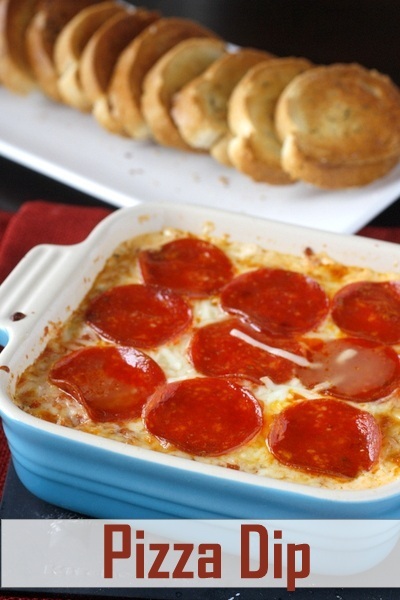 Oh, pizza in dip form sounds incredible! Hello, PERFECT superbowl sunday dip! This looks fabulous! 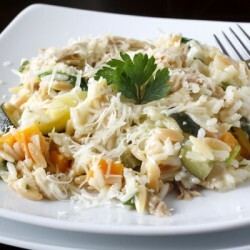 I am all over this recipe!!! LOVE it!!!! Every month we have an office potluck lunch. And someone always brings pizza dip. And I always end up plopping about 1/3 of it all onto my plate. And then I tell myself I’ll make it next time. And then I never do. And now…. I will. 🙂 LOVE THIS STUFF!! I made this for our Super Bowl party and everyone devoured it! Comments from my friends were “it was the bomb”. Thanks Megan! I made this tonight and my family loved it. Will definitely make this again. This is my staple party dish, and friends always ask me to make it. I’ve swapped out the sour cream and mayo for ricotta and I think it really makes the dish a ten.